Let me start by saying that “Fullmetal Alchemist” (and particularly the second edition) is one of my favorite anime series of all time. In that aspect, and considering the growing quality (and budget) of the recent anime adaptations (Miike’s works for example, Rurouni Kenshin etc), I was really eager to watch the live adaptation, although the fear of another “Attack on Titan” still lingered in the back on my mind. Let us see, though, how this one fared. The story takes place in an alternate setting that seems like a medieval Germany in some aspects (the way the characters are presented and the way the army is structured) where technology and magic (alchemy if you prefer) coexist. The protagonists are two brothers, Edward and Alphonse, sons of a State Alchemist who is never home. The two boys also deal with alchemy, but when their mother dies, they indulge in the darker aspects of it, trying to bring her back to life through a forbidden procedure. Their acts lead to a catastrophe, with Edward losing an arm and a leg, and Alphonse his whole body, having his soul alive inside a medieval suit of armor. The story then jumps some years later, where Edward is a full-fledged State Alchemist, while he still tries to find the Philosopher’s Stone, the Holy Grail of alchemy, in order to restore his brother and himself. As Homunculus, paranoid doctors and Edward’s friends come to the fore, a conspiracy among the army ranks also becomes apparent, and things take a rather dangerous turn. To begin with, I would like to point out that a 64-episode (more than 21 hours duration) anime was quite difficult to fit in a 135-minute movie, and a number of elements were bound to have been left out. This aspect is where the film’s biggest fault lie, since Fumihiko Sori and his co-scriptwriter, Takeshi Miyamoto tried to include as many arcs of the original as possible, which resulted in a number of episodes and characters that are very little analyzed or examined for that fact, to the point that they become almost irrelevant. In that fashion, episodes that had a huge affect in the anime, like the one with Doctor Sho and his daughter, and the story of Maes Hughes, have almost no impact here. Furthermore, this aspect also faults the acting, since a number of secondary characters get very little screen time, and very little chance to display their work. Ryosuke Yamada is convincing as Edward, but in his case, another fault, this time visual, comes to the fore. The Japanese actors, and particularly him and Misato Renbutsu who plays Riza, look almost comic in their blonde wigs, in a rather futile effort to mimic the characters of the anime. On the other hand, Yasuko Matsuyuki and Shinji Uchiyama depict Lust and Gluttony in believable fashion, in both terms of acting and appearance. The film had a budget of $8 million, which seems to have been allocated to the production values and the special effects, for the most apart. In that fashion, the various battles are quite impressive, through extensive, but elaborate CGI, as is the case with the cinematography, with Keiji Hashimoto using the scenery in Volterra, Italy to portray a quite similar setting with the one in the original. 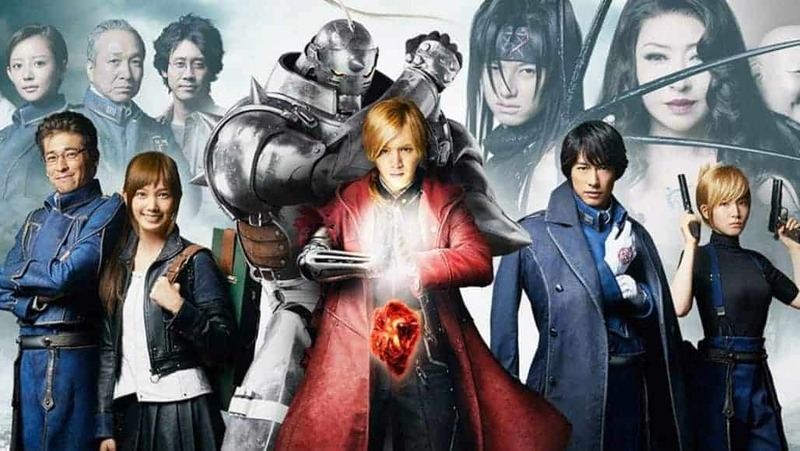 “Fullmetal Alchemist” is an impressive film to look at (minus the blond wigs), but unfortunately, in terms of narrative, characters, and adapting is a mediocre effort.